Association for Conflict Resolution – This is the national organization of dispute resolution professionals. 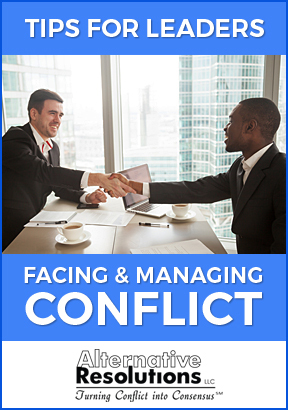 Maryland Mediation and Conflict Resolution Office – The Maryland Mediation and Conflict Resolution office, commonly known as MACRO, is a nationally recognized leader in the dispute resolution community. MACRO is a small statewide office which has pioneered the use of collaborative processes in government agencies, private business and the juvenile and criminal justice systems in Maryland. American Bar Association Section of Dispute Resolution – The American Bar Association’s Section on Dispute Resolution promotes the use of multiple dispute resolution options in all areas of legal practice. The site contains information and technical assistance for legislators, government departments and the general public on all aspects of dispute resolution. ADR World – This site contains the latest news and information related to laws, policy and court decisions affecting the field. International Ombudsman Association – This is the largest association of professional Ombuds practitioners in the world. It supports organizational ombudsman with professional development, training and strategic partnerships. Program on Negotiation at Harvard Law School – This link is a search engine for alternative dispute resolution books, articles, training tapes and working papers. National Arbitration Forum – NAF provides dispute resolution services through a roster of attorneys with specialized expertise. The Journal of Dispute Resolution – The University of Missouri Law School publishes this journal which is recognized as the leading legal publication in the area of alternative dispute resolution. 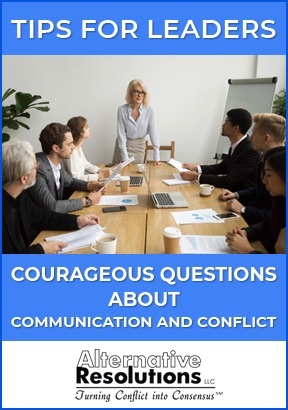 The Conflict Resolution Information Service – This site is a goldmine of information on ADR processes, conflict and peacemaking and includes education and training resources. Ms. Ellen Kandell is the President of Alternative Resolutions, LLC. She is passionate about transforming…read more.